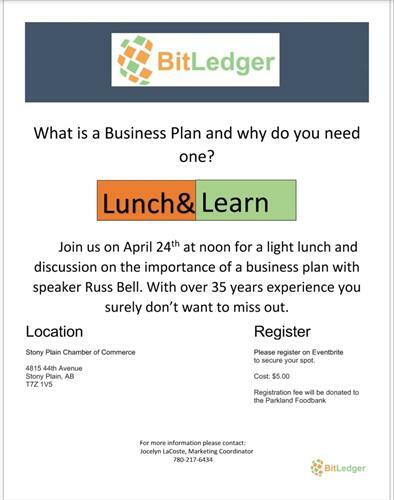 Join us on April 24th at noon for a light lunch and discussion on the importance of a business plan with speaker Russ Bell. With over 35 years experience you surely don’t want to miss out. Register on Eventbrite to secure your spot.